Made by me: gold leaf clutch. I try to stay in control of my book ordering on Amazon, because they are my weakness. Especially craft books. 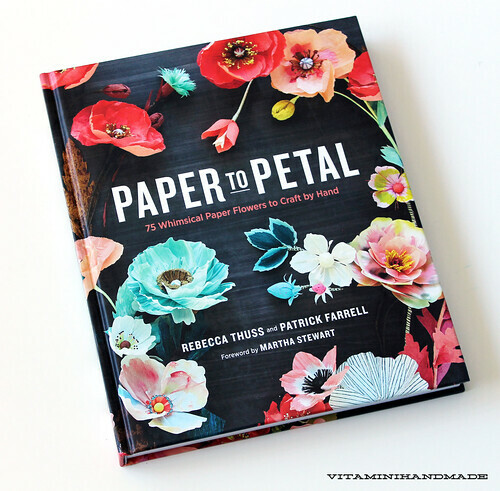 But when I saw photos of Paper to Petal I knew I just HAD to have a copy. Let me say, without even cracking it open I was impressed. It's a nice, hefty hardback with a beautiful cover. But the inside is is even better! 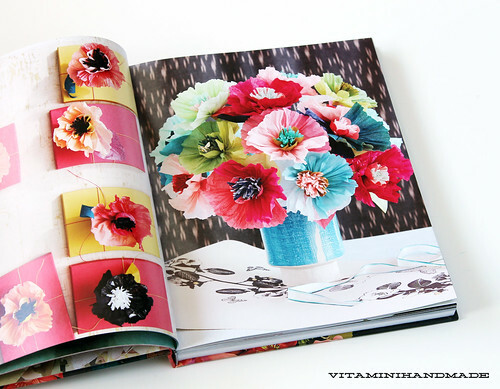 It opens with a gallery section showing lots of different flower projects. 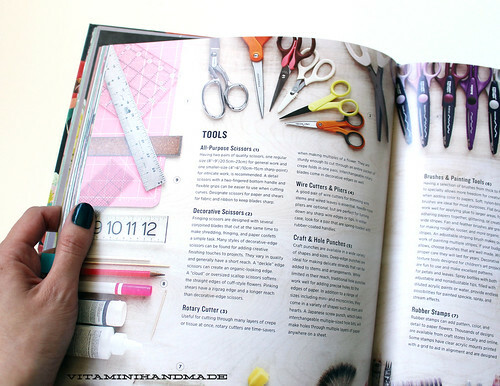 After the gallery, there's a chapter all about tools and materials. 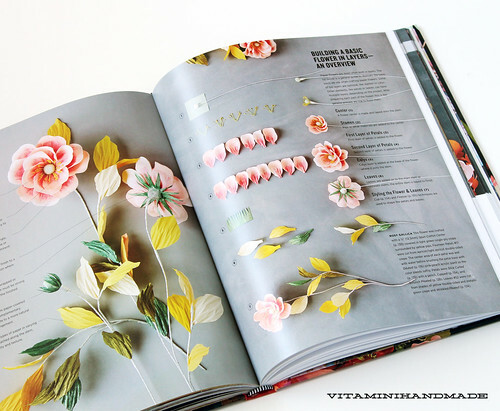 I really appreciated this section that describes the different types of paper used to make the flowers, what their differences are, and where you can find them. 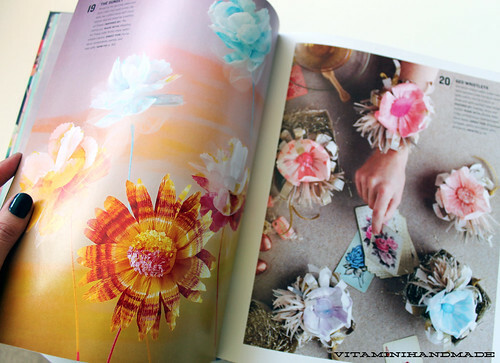 There's information about wires, tapes, glues, glitters, scissors, pens, everything you can think of to make these paper blooms. The third and last section breaks down the construction of each of the flowers shown in the gallery section. 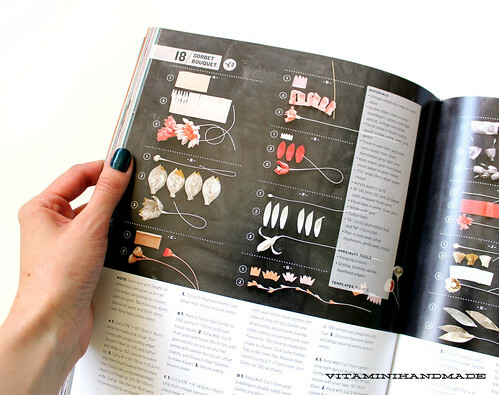 There are step-by-step photos of how the flowers are constructed. I haven't been able to try making any of the flowers, yet, but I did spend a small fortune on crepe paper and I honestly can't wait to get started! Have you had a chance to check out this book? 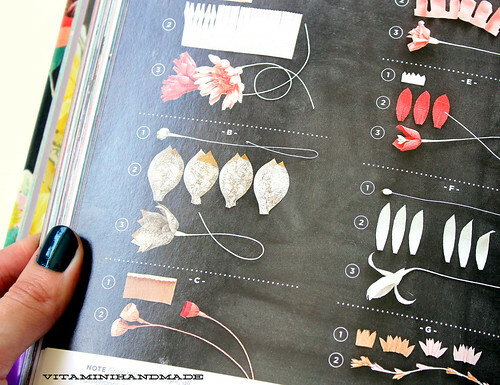 Tried making any of the flowers yet?